Most people think that doing expenses for business is unavoidably annoying, but that spreadsheets are the only way to get it done. Doing expenses manually – or on a paper form or a spreadsheet – can be frustrating. But the good news is we live in a digital age and doing things online makes life easier than it ever has been. The same goes for expenses. Spreadsheets aren’t the only way to do expenses any more. 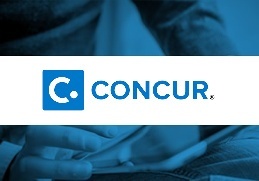 So, to help make expenses easier to do, Concur have written this guide: a summary of 8 documents you should read to find out more about how to make life better for claimants, processors, management and your bottom line. Download your copy by completing the short form to your right.